Relational databases work best for problems that are well defined at the outset, when you have tabular data, with a consistent structure and a fixed schema. But trying to answer questions about data relationships using a relational database involves numerous JOINs, resulting in database complexity and poor performance. Relational databases just cannot store relationships between data elements, and so they are not well suited for today’s highly connected data. 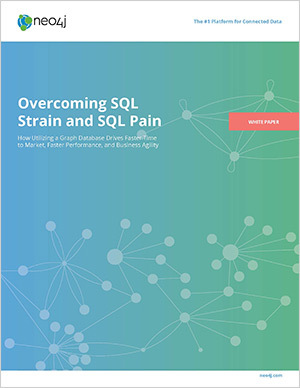 Download and read Overcoming SQL Strain and Pain: How Utilizing a Graph Database Drives Faster Time to Market, Faster Performance, and Business Agility.